When you're in a rush, it may be easier to grab dinner for your family at a fast-food restaurant. But when your 7-year-old isn't getting proper nutrition during meals, she will be less likely to make healthy choices as an adult. Obese children are more likely to develop heart disease and diabetes in adulthood. 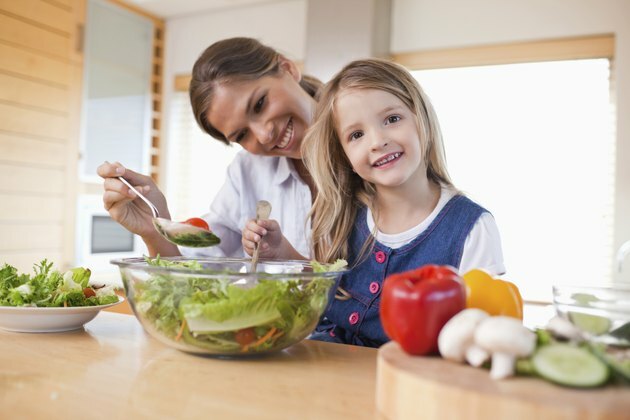 Serve your child a variety of nutritious foods to help her stay healthy for the rest of her life. Talk to your doctor before making changes in your child's diet, especially if she has health conditions or allergies. 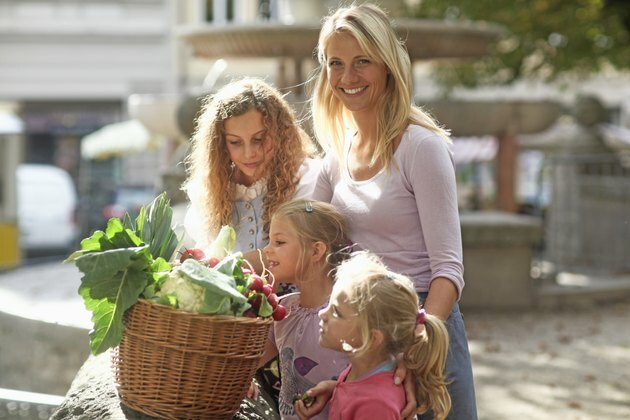 Your 7-year-old needs a balance of nutritious foods to grow strong and healthy. Seven-year-olds need between 1,200 and 2,000 calories per day, depending on your child's height and how active he is. Twenty-five to 35 percent of your child's calories should come from fat -- mostly healthy fats like the monounsaturated and polyunsaturated fats found in olive oil, fish and nuts. Forty-five to 65 percent of your child's calories should come from carbohydrates -- mostly whole-grain carbohydrates like brown rice and whole-wheat bread. Between 10 and 30 percent of your child's calories should come from protein -- mostly lean protein, like fish, chicken and tofu. Offer your child a nutritious, balanced breakfast every morning to keep her energized and satisfied all morning. If your child is on the run, hand her a fruit smoothie made with ice, strawberries, blueberries and bananas to drink on the bus. 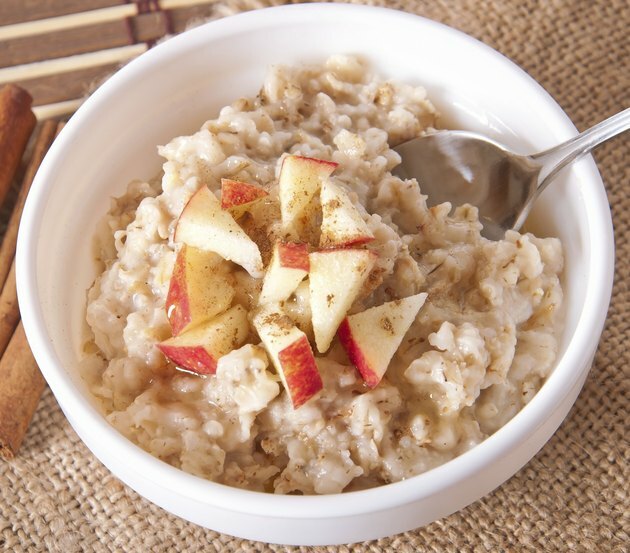 If your child has a few minutes to sit down, serve a bowl of oatmeal or yogurt with walnuts, sliced apples and a sprinkle of cinnamon. When your child buys lunch at the cafeteria, it's tricky to make sure he's eating properly. Teach him that greasy foods like fries and hamburgers are OK to eat once in a while but that he should balance them with other healthier options, like carrot sticks and an apple. Even if you let your child buy lunch once in a while, offer a packed lunch as much as possible. Include nutritious foods like a whole-grain turkey sandwich with lettuce and tomato, pretzels or whole-grain crackers, and fresh veggies with guacamole to dip them into. 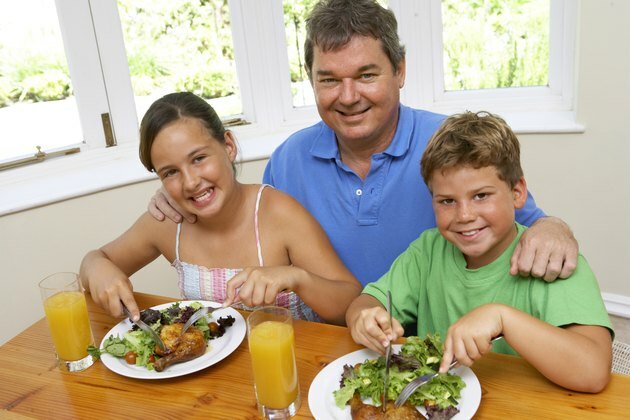 As often as possible, eat a homemade dinner around the table as a family. 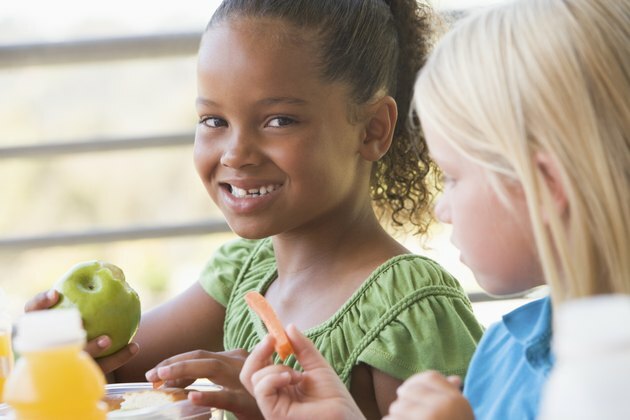 Your 7-year-old will learn good eating habits by watching what you eat. Make healthy changes in your child's favorite meals -- if she loves lasagna, make it with whole-grain noodles, a sprinkle of low-fat cheese, ground turkey and plenty of veggies like broccoli and zucchini. Serve the lasagna with a large helping of salad. If your child turns her nose up at your cooking, show her how to help you cook in the kitchen. She may be more likely to enjoy the meal if she helped create it.